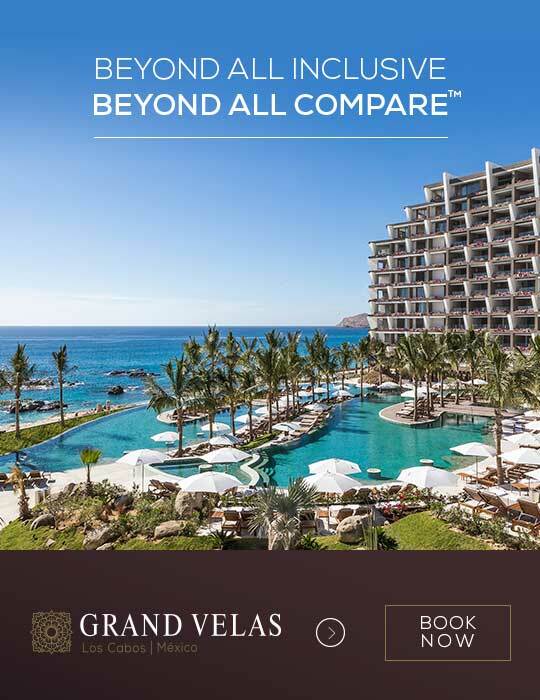 Los Cabos is known as a culinary destination par excellence, and this is confirmed by the more than 115 restaurants registered on OpenTable, a site that not has not only recommended the best places to eat since 1998, but makes it possible to reserve a table with just one click on your phone. A little place with the authentic taste of Mexico that holds the “Certificate of excellence” by TripAdvisor. The hospitality in this restaurant is present from the moment you enter, and the menu is packed with tasty offerings highlighting seafood, like avocado stuffed with shrimp or the octopus salad with fresh mozzarella cheese and vinaigrette with fine herbs. The bar could not be more complete, with craft beers, mezcal and classic cocktails, but margaritas are definitely the main attraction among thirsty diners. Atmosphere: Features a cozy brick-porch and clay tiles in the colorful interior patio, with paintings by local artists on display, and Mexican textiles hanging over the tables. Prices: [$$] $300 pesos per person, average. Where? : José María Morelos y Pavón | Center, San José del Cabo, B.C.S. Opened recently to ‘delight the palates of locals’ –and we all know that locals know the best places to eat –, Agua Salada serves a dynamic and relaxed menu in front of the Cabo San Lucas Marina. Among the dishes you will find there is the ‘Vaso loco’, a cocktail prepared with scallops, octopus, shrimp and tomato juice, and the ‘sashimitas’, an interesting mix between sashimi and the fish strips that are so popular in Los Cabos. Atmosphere: The architectural plan is distributed over three floors and the interior design is bold and modern, preserving an industrial and eclectic style with sofas full of cushions, second-hand tables and minimalist rooms. Lighting sets the mood in each space, providing different environments in one. Where? : Blvd. Marina No. 1 | Centro, Cabo San Lucas, B.C.S. This restaurant serves dishes with farm-to-table ingredients produced in the lands surrounding the Baja-style property. It is located 5 minutes from San Jose del Cabo and the immersive ‘ecotourism’ experience is one of its main attractions, as diners can participate in the harvest, learn about the products, take a cooking class and then taste the dishes on the planks arranged as a dining room. The organic offer includes a pasilla chili pepper stuffed with vegetables from the farm, cotija cheese bathed in pomodoro sauce and wood-roasted chicken with mashed pumpkin and green beans. Atmosphere: The terrace is an intimate space with stone constructions and clay tile floors, crowned by a palm-thatched palapa with beautiful vines growing on it. The scenery is one of a kind, with views of the Cabo desert on one side and the green orchards of the farm on the other. Prices: [$$$] $500 pesos per person, average. Where? : Ánimas Bajas S / N | Low Animas, San José del Cabo, B.C.S. Richard Sandoval presents one of his coolest kitchens with a Latin American label and flavors influenced by China and Japan, with house ceviches, or SuViches when combined with sushi, as well as grilled creations and interesting dishes to share, like his tuna chicharrón served with guacamole and pico de gallo with molcajete salsa (prepared in a volcanic stone mortar and pestle). This is an opportunity to try something by this acclaimed chef who has a catalog of more than 40 restaurants around the world. Atmosphere: The main dining area is decorated with floor to ceiling shelving backlit in warm tones that highlight the hundreds of clay pots arranged on the planks. The terrace has a very sober style that combines wood and glass railings to provide a full view of the gardens. Prices: [$$$$] above $500 pesos per person, average. Where? : Carretera Transpeninsular Km 6.5, Punta Ballena, Cabo San Lucas, B.C.S. Gastronomy becomes magic in the hands of Chef Sidney Schutte, who presents a ten-course tasting menu –a sensational way to try a range of different dishes in a single evening– such as the tuna bubble with jalapeño and furikake, or the black Angus steak served with black garlic, porcini mushroom and quinoa. The lamb is cooked to perfection with artichokes, anchovies, olives and Chinese peas. Adding to his culinary proposal, which is clearly inspired by Asian cuisine, after spending four years on the continent, are the wine recommendations by Pedro Poncelis, the acclaimed sommelier who is an institution in Mexico. Atmosphere: The bar is a welcoming space with walls paneled in natural wood and marble lamps that temper the light to create an elegant and sophisticated ambiance. Located just behind the bar, separated by a wooden screen with carefully placed bars, is the dining room graced by large columns and wooden tables with designer chairs. A very chic space for a special moment. Prices: [$$$$] More than $500 pesos per person, average. Where? : Carretera Transpeninsular Km. 17, San José del Cabo, B.C.S.